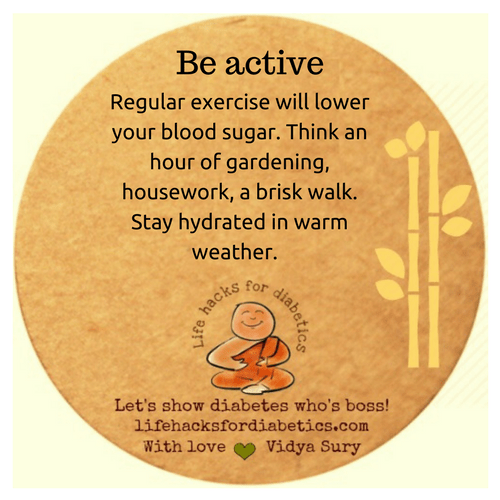 Regular exercise will lower your blood sugar. Think an hour of gardening, housework, a brisk walk. Stay hydrated in warm weather.